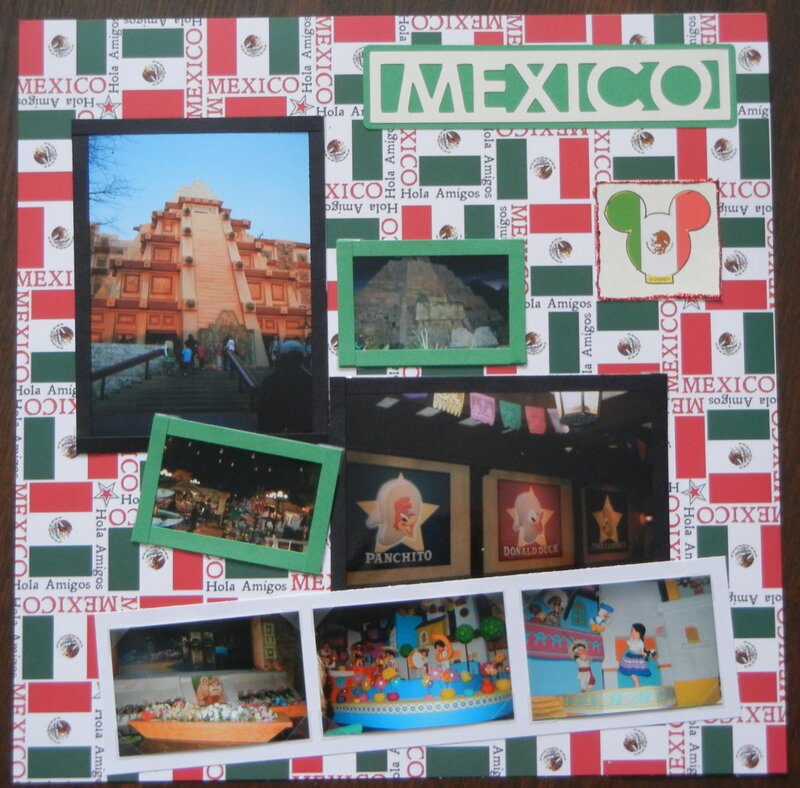 Some pictures taken in the Mexico Pavilion at Epcot. The title for this page was cut using the Destinations Cricut cartridge. The Mickey head sticker comes from a kit I bought at Disney World. The background paper is from SYT. Wonderful photos, bright mexican colors I especially like the way Mickey has been incorporated in the lo. The Mickey sticker is perfect - Again, love the bright colorful nature of the layout. Cool page. Love that background paper. I might have to borrow for our upcoming trip to Cabo.